Description: Enjoy sun, sea and nature at this private 8-island collection, part of the Thimble Island archipelago, situated in and around scenic Stony Creek Harbor. Reached via private boat or town launch, each island offers endless opportunities amid the glistening waters of Long Island Sound. 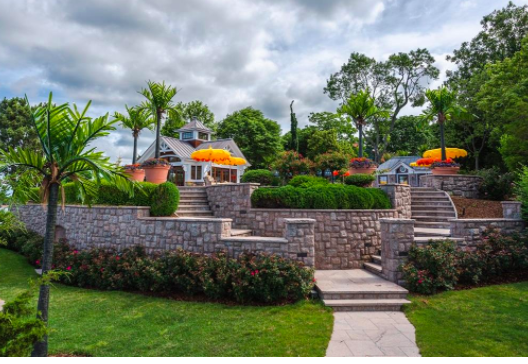 The largest island is 8-acre Rogers Island, a magnificent setting with a grand 10-bedroom manor, pool complex, tennis court, greenhouse, golf green and guest house. Equally appealing, the 7 private islands have also been updated to the highest standards. Also included is a separate mainland waterfront home with a commercial-grade dock, ideal for servicing the islands. The locale is easily accessible from New York City and Boston. Description: www.thimbleportfolio.com Stunning 7.65-acre Rogers Island on 3/4 mile coast, a magnificent setting, grand 13,100 SF ten bedroom manor that has been impeccably restored. The island offers a state of the art pool complex complete with a pool house, cabana and gazebo. Extravagant grounds including three private beaches, French formal gardens, fountains, Har-Tru tennis court, Nicklaus-designed putting green, heated commercial Greenhouse and two granite piers with a floating dock.The guest cottage includes 4 bedrooms and a wrap around porch, private Artist’s studio with half bath. Sale includes 3700 SF Victorian Home on shore property boasting a 150 SF floating dock and 35′ long concrete pier. Included are carriage house and caretakers cottage. 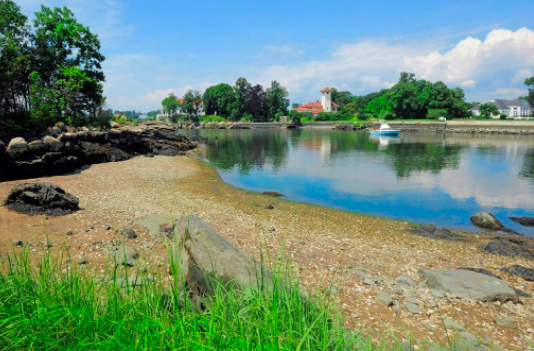 Description: Available for the first time in 50 years, this extraordinary setting is the last undeveloped waterfront property in Greenwich. On its own peninsula, surrounded by Long Island Sound, the property is set within the exclusive gated community of Mead Point. The 19.17 acres includes 11.14 acres of land and 8.03 acres of water. Two building sites include a 7.52-acre parcel and a 3.165-acre parcel – both approved for grand estate-caliber homes. 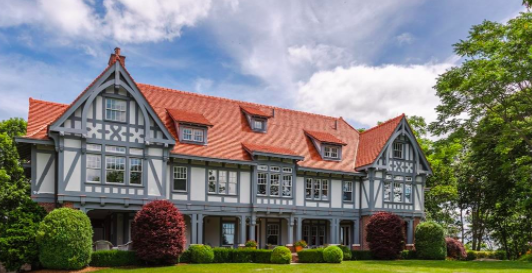 The new owner can utilize existing plans, by noted architect Joel Barkley,for the residences, a complete landscape design by Edmund Hollander as well as a construction plan by a noted builder. Significant water frontage includes a private sandy beach and deep-water dock.